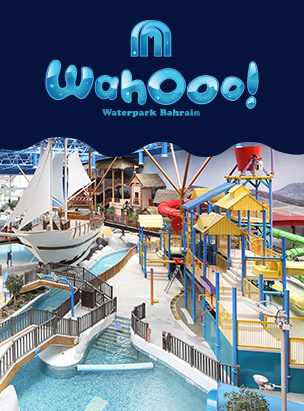 Located at City Centre Bahrain with an area of 15,000 square metres, Wahooo! 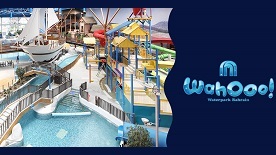 Waterpark is the Middle East’s first ever indoor-outdoor waterpark, and offers a host of thrilling rides including Flowrider, the world’s first full size surfing machine at an indoor park. With 70 percent of the pool deck area indoors and 30 percent outdoors, Wahooo! is well-equipped to welcome guests all year-round with temperature controlled surroundings and pools. Guests at this sub-tropical paradise themed park can also enjoy top- class amenities such as a restaurant, large party rooms and Wave Pro, a retail outlet selling swimming apparel and souvenir merchandise.